SOLO Swiss, a company producing controlled atmosphere industrial furnaces, has commissioned a new large-scale automatic heat treatment line for the aeronautical industry in Asia. This SOLO Swiss heat treatment line, specifically designed for large aeronautical component annealing and carburization, comprises a bell-type austenitizing furnace, an oil quenching tank, a salt quenching tank, a gas cooling tank, two washers (for post oil-quenching and post salt-quenching washing), two nitrogen temper furnaces, a motor-driven handling device and an Axron Swiss Technology process control and monitoring system (www.axron.com). This facility is able to accommodate round loads of up to 900 mm in diameter and 1500 mm high weighing up to 650 kg. This electrically-heated, mobile vertical austenitizing bell-furnace, operating at temperatures of up to 1000°C, is designed for overhead transfer to the oil and salt quenching and gas-cooling tanks. A turbine is located on the top of the furnace, a gas feed system inside the bell and there is a cooling fan providing a temperature uniformity within +/- 5°C and extremely fast atmosphere control. The tank has an oil capacity of 15 700 litres, heating up to a maximum temperature of 150°C; it is fitted with a removable oil-protection cover, an oil cooling system controlled by an oil -to-air heat exchanger and a pump, a variable-speed mixer providing optimum flow, an oil level detector and an internal tank load detector. This tank has a salt capacity of 12 800 litres, heating up to a maximum temperature of 450°C; it is fitted with a removable stainless steel protection cover, an air-flow cooling system, a variable-speed mixer providing optimum flow, a salt-level detector, an automatic level regulator and an internal tank load detector. The gas tank has a capacity of 2 500 litres. It is fitted with a sealed removable cover and a slow cooling vessel that is nitrogen-protected following carburization, an air-flow feed system, an internal heat exchanger and a load detector. Fitted on top of the facility, the extractor traps fumes. The stainless steel washer provides an alkaline wash of parts that have been oil-quenched. It comprises two tanks, a sprinkler system with directional splash rails and tank heaters. This stainless steel washer provides a neutral wash of parts that have been salt-quenched. It comprises two tanks, a sprinkler system with directional splash rails and tank heaters. These fixed tempering furnaces, which can reach a temperature of 750°C, are fitted with turbines and cooling fans ensuring excellent temperature uniformity. This device comprises a guide rail with lifting tackle to enable loading, unloading and handling of loads along the entire line. Fine positioning is provided by a LASER system. The intuitive, multi-lingual (F, D, GB, I, SP, CZ, Chinese, Japanese) graphic interface is easy to use and user-friendly. Flow chart of all control components to facilitate tracking. Can be linked to a central ERP system. Can be remote-controlled via Internet. 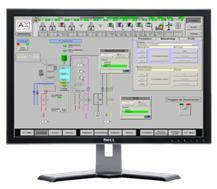 Profinet network between PLC and Monitoring system. On-line carburization depth simulation and calculation. – It is modular; it can perform multiple heat treatment cycles. – The individual modular structure allows system optimisation at any moment – production can be increased by simply adding extra modules. – Load storage capacity for optimum production planning. – Extremely fast transfer between furnace and quenching tank. 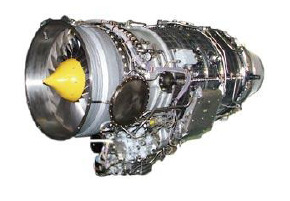 – Aeronautical specifications AMS2750D Instrumentation Type C.